NV200: Insulating, lining, and making use of hidden space – Do your dream! 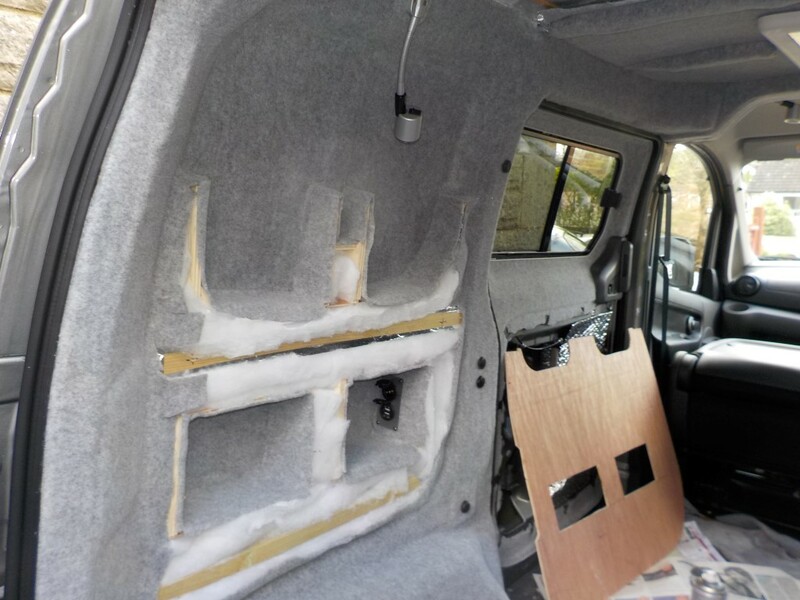 This was going to be the toughest lining job – but it was that time…. Most people ply line and which gives a lovely straight edge, but due to wanting to maximise available space, we cant do that. So, as the pics show, the nearside rear has some tempting holes, but some real nasty 3d internal and external 3 way curves. Urgh. As we don’t want to come in further than the pillar to maximise bed space, life gets tough! 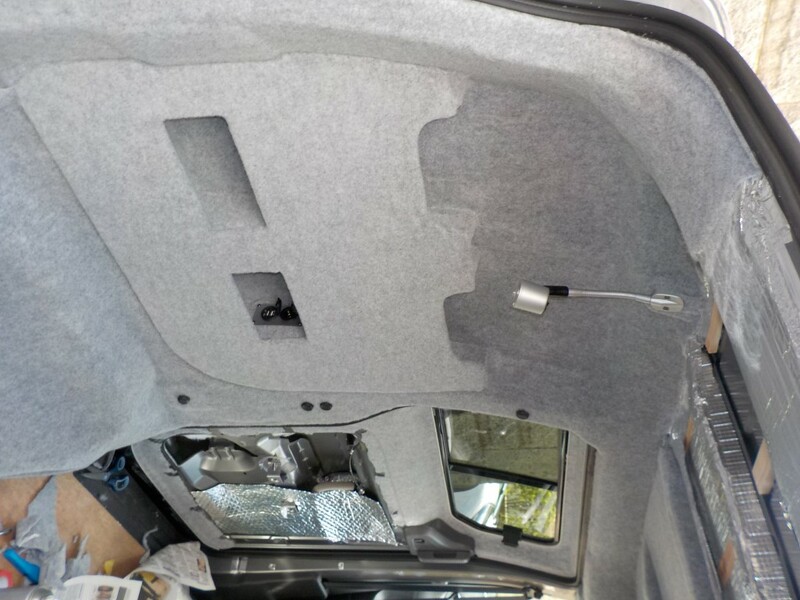 We insulated the voids, ran power cable for the USB/12v socket in the lower right hole (in trunking) and for the nearside reading light. 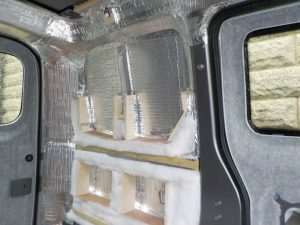 Then built frames for the shelves (bonded) put n cut 7mm foam insulation and taped a vapour barrier, and then put fluffy insulation in the small gaps, so the entire thing is insulated and vapour proof. Overall, looks really good, really neat, but again hides a huge multitude of sins. In places its a bit amaturish but should look good when the bed is made. Hey this is all amazing! 🙂 i also have this van which i use for work and occasionally camping at work (childrens entertainer at events). I have question though for rear insulation.. both sides is a small vent, mine are actually are quite dirty inside from dirt and moisture outside. 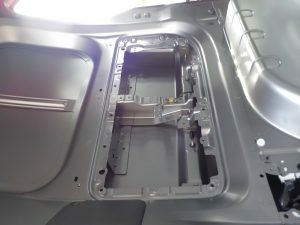 Did you seal these parts off to make moisture barrier as well as carpeting over etc, or just kept open for more air flow? I also have a window so not sure if best to keep or just seal off?.. Most definitely, left them open. Also the skylight is “always vented” as are the two side windows. 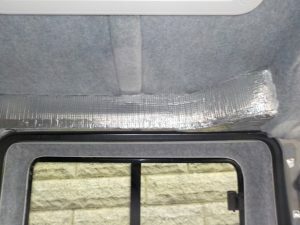 You NEED air movement, otherwise you die 🙂 But also if you sleep in the van the condensation will be immense and it will condensate on metal and rust the van eventually from the inside. So airflow is essential. 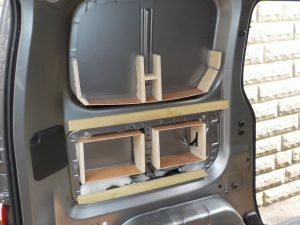 Great thanks for that 🙂 I’m not normally a DIY’y kind of person but quite chuffed so far thanks to your blog! 🙂 So now wondering if you created some sort of barrier between the vent area and where the insulation under your wood boxes meet (and same of course for the other side)? Or just roughly filled around the vent with fluff up to the side? Just a little wary of my fluff getting damp from it as its quite mucky in the vents. Nope. No barrier. The plastic cover over the vent was put back. 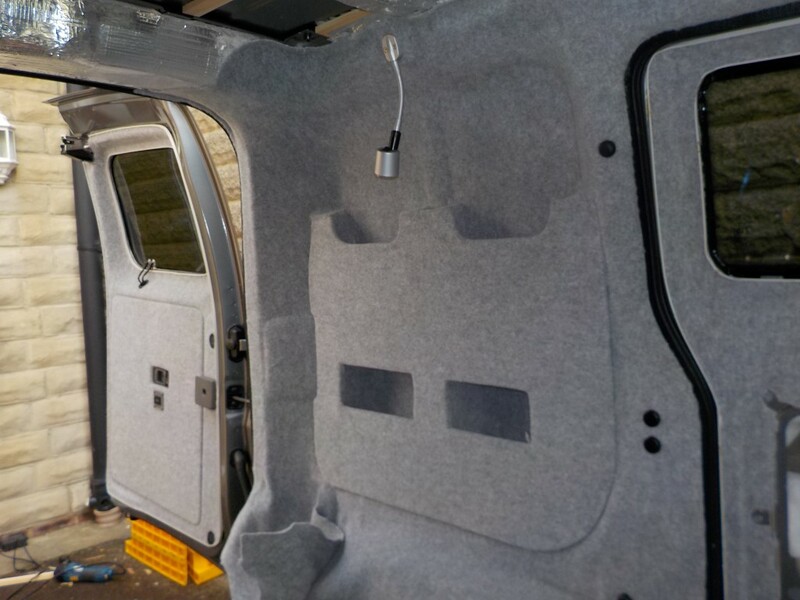 No insulation or anything – totally clear for air flow. 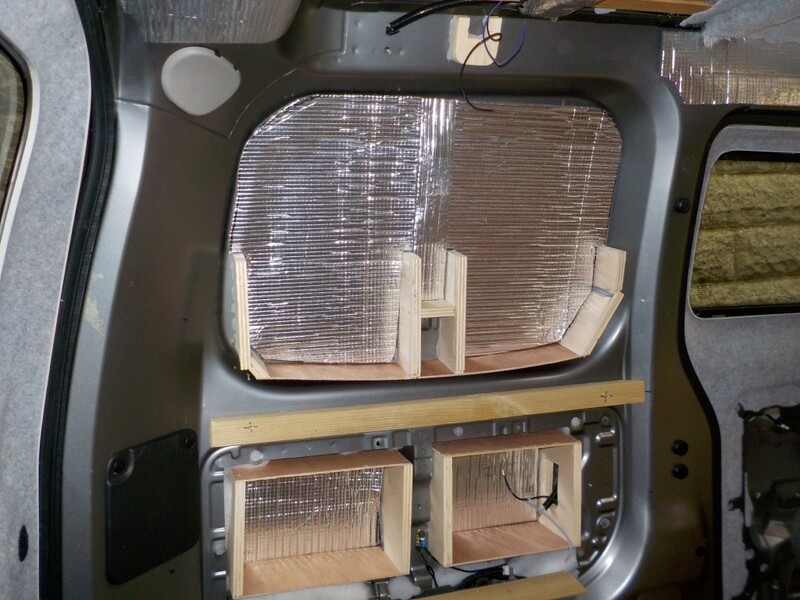 Insulated above and left inside (but left wiring cabling clear). Used the white wool type insulation (but its the non water absorbing stuff, not loft stuff). Don;’t use the loft stuff – it gets/stays wet. not seen any dirt there? But one side is behind the gas locker so out of site, and the other side under the bed is just there…. Not seen any muck there. I do have mudguards. do you? Hi, where can I find the fluffy insulation? Is it this one http://www.diy.com/departments/diall-loft-insulation-l8m-w370mm-t100mm/197658_BQ.prd?ppc_type=shopping&ds_kids=92700018862572466&utm_source=google_cpc&utm_medium=shopping&utm_campaign=PX_GSC_Building_Outdoor_Best_Sellers&gclid=Cj0KCQiA84rQBRDCARIsAPO8RFwPqmhupG8YoJvpW0fL8clMkzgn_qy0bqpOMP5NJNs23AZnSctd3DsaAi5WEALw_wcB&gclsrc=aw.ds&dclid=CJCKqu7ur9cCFfiE7QodlP8G9A ? I am in process of converting my NV200 at the moment. 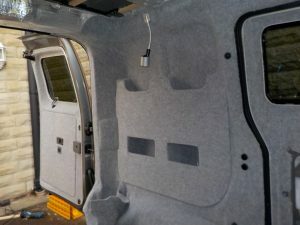 I notice that you seem to have fixed silver thermal insulation to all metal surfaces first around the windows and the top section of the sliding doors etc and then you fixed the carpet on top of that. Did you do this all over and if so what is the advantage over just fixing lining carpet to these areas? 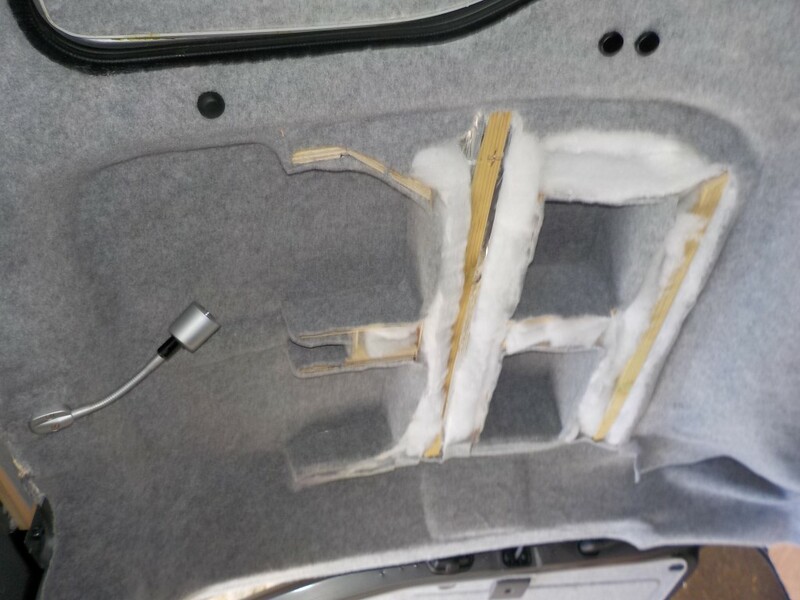 I only did it covering the “holes” in the removed panels on the doors. This was then sealed to create a moisture/vapour barrier. The doors have holes for handle that lets in water, and this is to allow the water “out”. The ply/carpet panel goes on top. On the rest of the doors, and around the windows is just carpet. Why? In a small van, when you breath you get condensation. Any bare metal will get wet. That’s a fact. Why don’t the pro’s do it? Because its a b****d of a job lol! 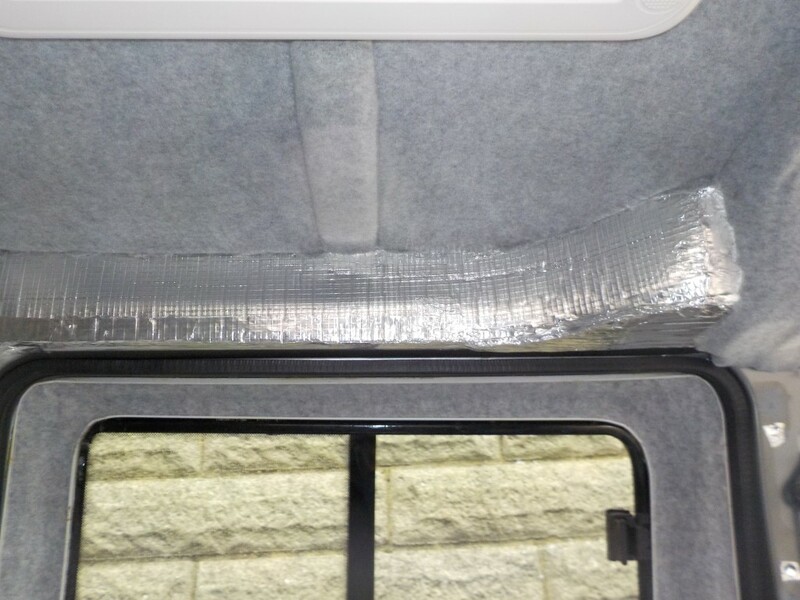 Some other panels were insulated with a cross between the 7mm foam & silver, or the 3mm silver thermawrap – just to maximise insulation really. 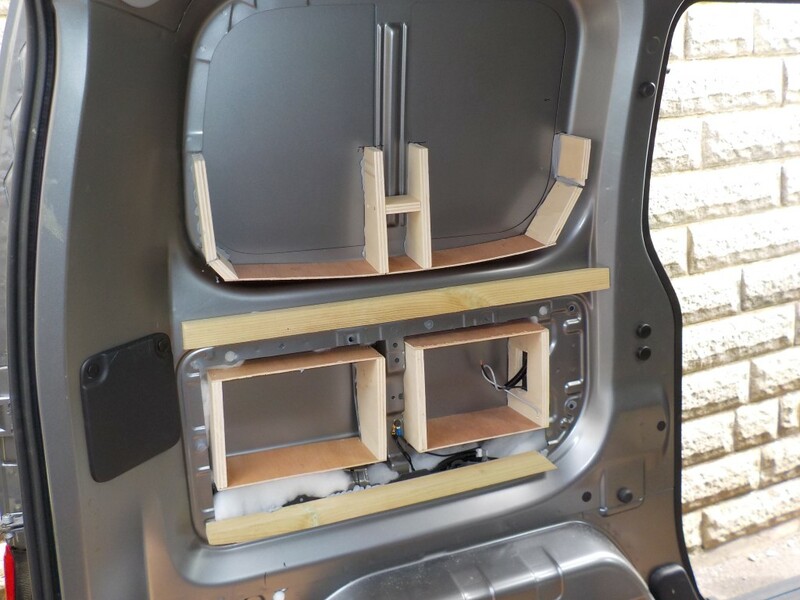 But the doors, its only the “openings” where the innards are I covered. thanks for the explanation, many thanks.